If you have pain, here is the simple step process that you should follow. Call Else to talk over your issue. Go see Else, without a doubt she is a miracle lady. When it comes to pain she is the lady to talk to and see. Her therapy is of 30 years of experience and she does it with her heart. Else has the most amazing intuition for the body, your emotions, your physical pains and she knows exactly how to help you. I have experienced her therapy and after 8 years of lower back pain due to herniated / bulging disk I walked away pain free. Just one session. I was just mesmerised an in tears of joy. 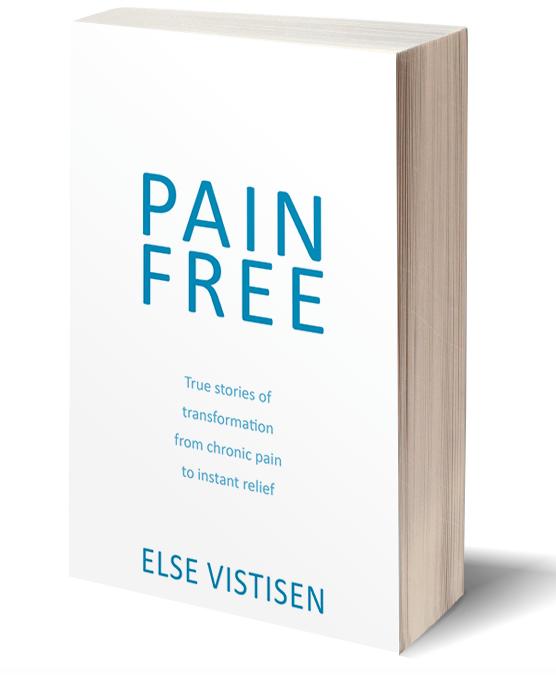 So this is my personal recommendation and if you are not convinced then perhaps read her latest book Pain Free which you can order a copy from my shop or from Else and you will be amazed at how she has helped people to heal their pain.